Description: A goose is never late. Nor is it early. It flies in precisely when it means too. 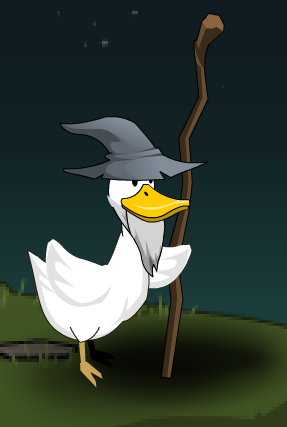 This item is a parody of Gandalf. Also see Grandhonk Goose the Gray.